Science and math aren't the only skills you need to develop a technology strategy. Dreaming up the next big advancement also requires a healthy dose of creativity. But many companies suffer from, what Chakib Bouhdary, digital transformation officer at SAP calls, "corporate cholesterol." In other words, businesses are often entrenched in "rigid processes, risk avoidance and a mindset of 'it's working, why change? '," which can limit an organization's ability to quickly adapt. Businesses that haven't started building a strategy are quickly running out of time. IDC predicts that by 2018, two-thirds of the CEO's at companies on Forbes' list of The Global 2000 will include a digital strategy in their business plan and at least 20 percent of all workers will use some form of automated technology. With big technological changes like augmented reality, virtual reality and machine learning looming on the horizon, businesses need to build a digital strategy immediately. For the most part, there have been several good reasons to avoid digital transformation. For example, there are legitimate concerns around security, compliance, cost and scale when implementing any new technology. But IDC predicts that within the next three to five years, there will be a significant increase in businesses embracing wide-scale digital transformation plans. "Digital is a business transformation agent. If you don't innovate around digital you run the risk of becoming extinct," says Raman Sapra, vice president and Global Head of Dell Digital Business Services at Dell Services. "Once they have defined what they want to focus on, they can then build and execute a comprehensive strategy," he adds. SAP's Bouhdary suggests you focus around "design thinking," which he says starts with building a culture of innovation throughout the organization. He says most companies have the foundation to implement new technology, the real roadblock comes with finding creative ways to problem solve. New technology invites disruption, and disruption can't fit into concrete, established and operational ways of thinking. Businesses need to adopt fast, quick and innovative ways to source and implement the right technology. Because a creative digital transformation approach is one that requires quick and intuitive thinking, your strategy will need to address more than hardware and software. Creative approaches include business objectives, the company's "digital IQ," budget limitations and sometimes it can even include hiring, says Bouhdary. He says to start by defining your "digital destiny" (i.e., how you want to align your new business models with your old ones and establish which ones are out of date). That way, you can easily identify which new business models work best for your digital approach. For some companies, he says part of finding the best business models will involve investing in your company's "digital IQ." That might mean budgeting for qualified talent to build a department focused on emerging technology or training for your current IT workers. "SAP's digital transformation started in 2010 when we realized that our traditional business model was not sufficient to drive value for our stakeholders, deliver agile innovation to our customers, grow our market share and profit, stay relevant for our ecosystem, and keep our workforce engaged," says Bouhdary. SAP chose a starting point to focus on -- customer needs -- and after evaluating what their customers wanted they determined that a cloud-based model could deliver "more agile and lower-cost architecture." Bouhdary says they also decided they would need to offer a modern, consumer-grade interface so that it would be easier to adopt new technology faster moving forward. Now the company has shifted from one business model that focused mainly on products to four business models that are constantly running alongside one another. As technology upheaves traditional business, it's also increasing the complexity of staying competitive. Bouhdary says that businesses are now focused on how to "drive revenue growth, enhance customer experience, increase productivity and manage risk," instead of just one or two major objectives. And it's only going to get more complex in the coming years as technology continues to advance -- but those same advances will also likely bring new business solutions. Gartner predicts that in 2017, some of the biggest technology trends in the enterprise will be advanced machine learning, augmented reality and intelligent apps. While these technologies are complex, Bouhdary says they will also help simplify some of the complexities by driving innovation. "It is time for fresh thinking to manage complexity and reimagine everything -- processes to deliver innovative products and services, manage assets, manage risk real-time, and optimize profitability at a transactional level," he says. In the future, augmented reality and machine learning might help automate certain tasks or simplify them for workers, making it easier to adopt new technology. But it will take a creative eye to figure out how to leverage these new technologies in a way that helps your business thrive. Sapra says that Dell Digital Business Services understands how overwhelming it can be for businesses to tackle digital transformation, which is why they help businesses plan for digital transformation with a proprietary 5-R methodology. They consider a business' objectives to create long-term plans that include IT strategy, enterprise architecture, change management plans, business processes and risk management requirements. 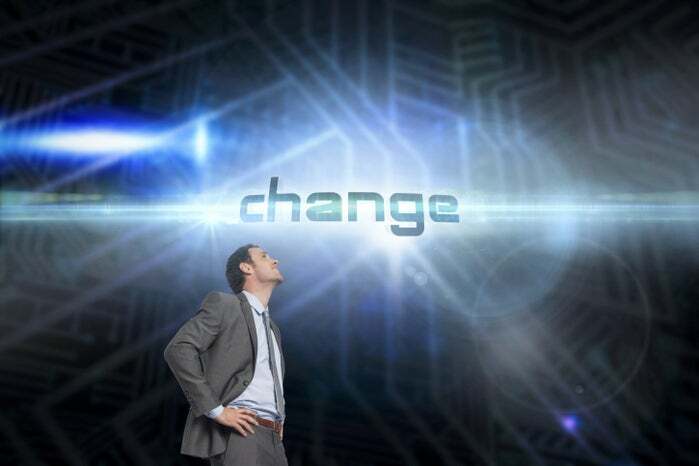 "Many organizations have to first understand what is truly possible with digital before they can determine what the best path forward is for them," says Sapra. To take it even one step further, Dell introduced the Digital Experience Studio, located in its Plano, Texas, headquarters. There businesses can visit to experience real-world applications of different technologies in the enterprise. There are hands on demonstrations of business technology they may want to deploy and they can try it out in a risk-free situation. "In our center, customers can experience all aspects of digital transformation starting from hands-on concept design and realization, real time journey maps and associated touchpoints, Internet of Things and usability testing and mobility, as well as digital marketing and social media listening and analytics," he says. It's all about building a creative approach to digital transformation that doesn't seem as overwhelming. Sapra says that businesses need to "adopt a start-up mentality" when approaching technology -- "fail fast and reward failure." You can't let the fear of failure hold back progress, instead, embrace digital transformation and learn from every mistake. "Most companies are optimized to execute and solve a stated problem. Creativity is about finding the problem worth solving. An absence of a scalable creative framework encourages incremental innovation in lieu of disruptive innovation. As companies strive for disruptive innovation, they must find ways to inject and scale creativity across their organizations," says Bouhdary.